Let Netwind Learning Center training course for Microsoft Windows Vista Business help your business run more efficiently than ever before. Let our training show you how to keep your network running smoothly and securely without excessive reliance on dedicated IT support, Vista Business is the primary edition of Windows Vista for business desktop and mobile PCs. The Operating System is easy to set up, it helps you use your PC more securely and reliably, and like all of the editions of Windows Vista, it is compatible with the widest range of software, devices, and services that you use and trust. If you simply want to use your PC for tasks such as surfing the Internet, corresponding with friends and family using e-mail, or performing basic document creation and editing tasks, then Windows Vista Home Basic will deliver a safer, more reliable, and more productive computing environment. Breakthrough Security Windows Vista is engineered to be the most secure version of Windows yet. The new features in Windows Vista help to give you the control and confidence you need to get the most out of your PC. Windows Vista contains a number of new security features that, taken together, are designed to make Windows Vista-based PCs more secure and your online experiences safer. The improvements are designed to help you have: - A PC protected from viruses, worms, spyware, and other potentially unwanted software - A safer online experience for you and your family - An understanding of when your PC is unsafe, and the control and guidance to help improve your security Powerful Search & Organization Windows Vista gives you more flexibility when you search and organize your files. 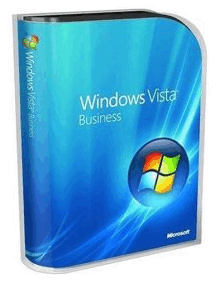 The Microsoft Windows Vista Business training course provides an overview of the features of Windows Vista. This course covers the various methods of navigating Windows Vista. This training also focuses on working with files, folders, and explorers. You will learn an overview of working with standard and additional Windows Vista programs, customizing the desktop appearance, Start menu, taskbar, Windows Sidebar, and Internet Explorer. The advance level of training will provides you an overview of the security features of Windows Vista, focusing on working with Windows Security Center, Windows Defender, and Windows Backup and Restore Center. You will also learn about working with user accounts, managing files and folders, and performing disk maintenance. Additionally, this course covers networking with Windows Vista and working with Windows Meeting Space and Windows Calendar. This course is for business users in large and small organizations, including mobile workers, who use their systems for both work and home entertainment. Identify features of Windows Vista. Identify the Windows Vista user interface elements. Navigate Windows Vista using the Start menu. Navigate Windows Vista using the Address bar. Navigate Windows Vista using the Navigation Pane. Use Windows Vista Help and Support. Share content with other users. Work with the standard Windows Vista programs. Work with the additional Windows Vista programs. Customize the Internet Explorer toolbar. Identify security features of Windows Vista. Identify security features for a safer online experience. Work with Windows Security Center. Work with Windows Backup and Restore control panel. Work with basic user security. Print documents with Windows Vista.